Chicken legs are for grown-ups too! – Hurried Home Chef! Chicken legs are for grown-ups too! 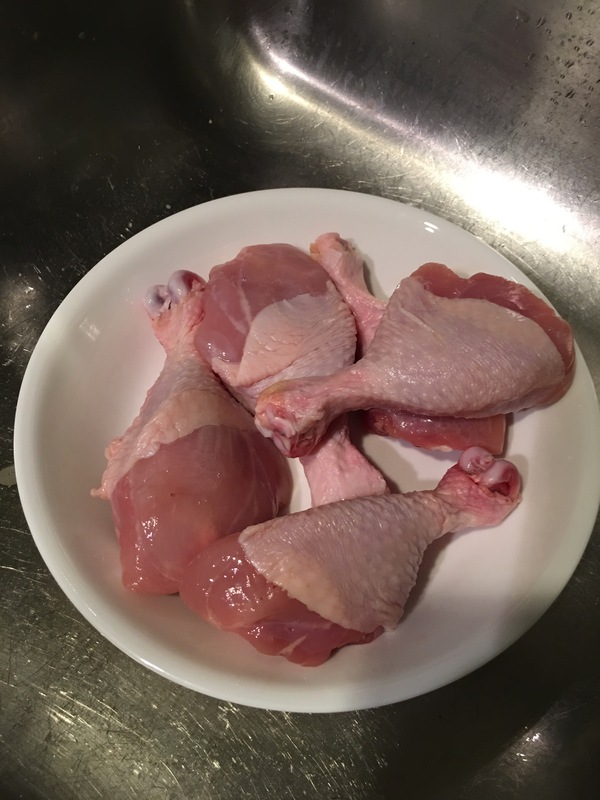 Chicken legs are a simple weeknight dish and also good to make in large quantities for a party. 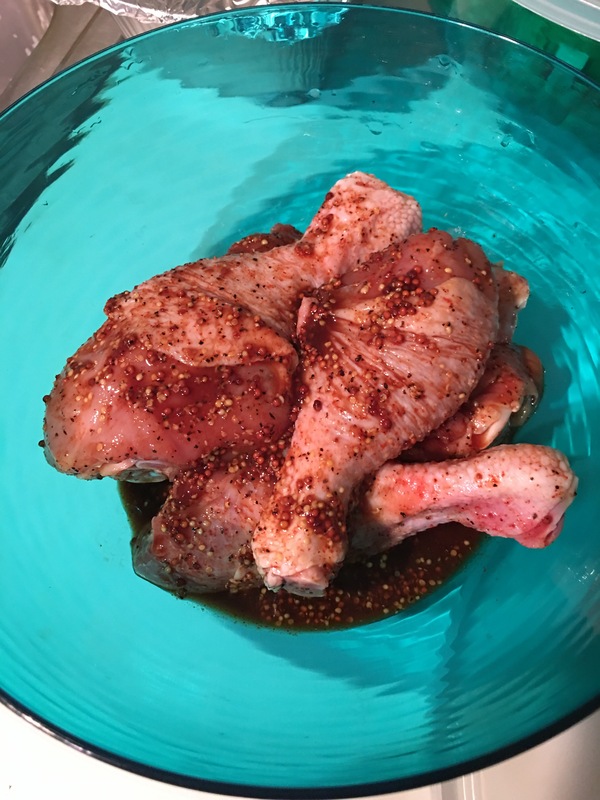 I leave the skin on to keep the chicken moist during cooking when I bake them. If I cook on the stove, I will remove. 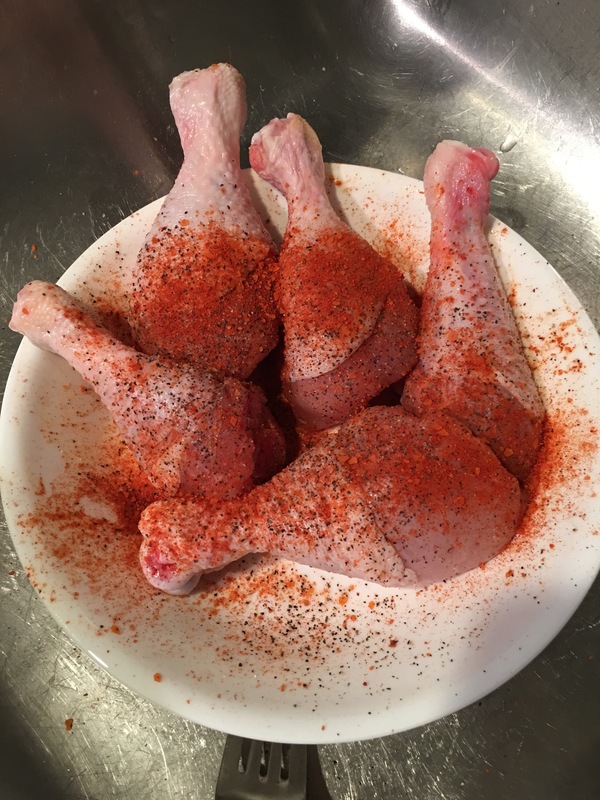 Here I have fresh chicken legs that I have washed with apple cider vinegar. 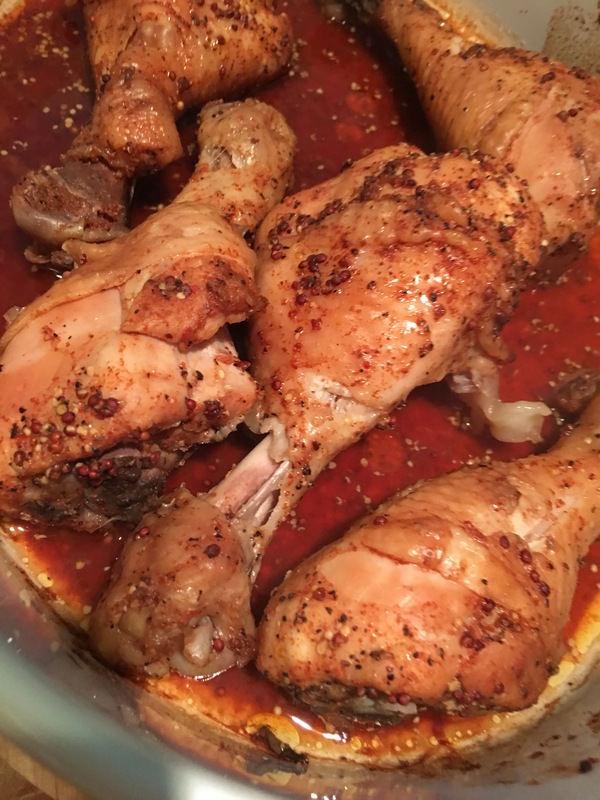 This was for adults only, so I used salt, pepper, roasted and ground chili peppers, grainy mustard, soy sauce, and worcestershire. Then I transferred into a bowl and left in the fridge and went to work. Then put onto a parchment lined baking sheet, not touching, and put it in the oven as soon as I turned it on–instead of waiting for it to preheat. On 350 for about 30 minutes, then turned it over, back in for about 30 more. Once I see it pull away from the bone, it’s done. Serve with your side dish of choice. Since the oven was on, I roasted vegetables. There are many flavor variations that work for this. I like baking it because you can be doing other things while the oven does the work. Make this on Sunday to be a weeknight timesaver! Previous Post West Indian Dahl, aka yellow split peas soup. Next Post Prep ahead staples for your fridge and freezer, quick Thai noodle soup.